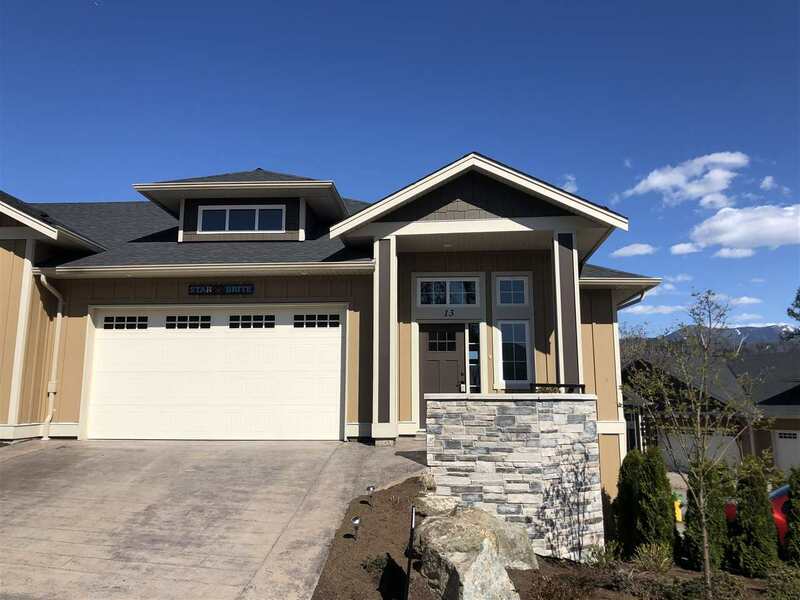 "Newer built townhome nestled away on the top on Promontory with stunning views of Vedder River and Cultus Lake. Immaculate 15 unit complex backs onto Bridlewood Trail. Large corner unit, double garage with custom shelving, tons of storage, large backyard, and 2 large outdoor living spaces. Impressive high ceilings, open floor plan, gourmet kitchen with gas range, quartz counters and double fridge/freezer combo. Large media room down stairs plus so much more! Minutes to HWY #1 and Cultus Lake! This home feels like a large house without all of the responsibilities."